This blog entry is from Charles and recaps the from time he left Colorado until he and I met in Guatemala. Enjoy! It’s the morning of December 16th. I have just taken my last law school final, and now I have a complete 7 minutes to relish the accomplishment before an entirely different kind of stress settles onto my shoulders. Currently my motorcycle sits in the garage in at least 40 pieces, lacking a clutch, gas tank, seat, air filter, spark plug, brakes, coolant, etc. In the next 2 days I have to finish my law thesis/seminar paper, move everything I own into storage, say goodbye to everyone I know, run a million errands for odds and ends, and piece together a running motorcycle that will carry me 15,000 miles to the end of the world. Such a professional level of procrastination can only be ended by such a time crunched panic. Miraculously, and with the assistance of one very helpful and understanding girlfriend, I manage to complete everything with one exception. When my ego’s zen like understanding of motorcycles is combined with the reality of my meager mechanical ability (centered on the skills of swearing and violence toward inanimate objects) the result is rarely beneficial. I managed to turn a simple clutch change into a full day’s effort that included learning how to do it incorrectly three separate times thereby delaying my departure an extra day. My moto is secured in the trailer, and my Dad and I finally depart. Although an inauspicious beginning to such a momentous trip my plan is to trailer the bike to Lamar, CO where I will ride from there to San Antonio the first day, almost 1000 miles. In Lamar I finally set off and am so happy to be riding this giant beast lumbering toward Argentina! I am so happy for all of 40 miles until a little voice in the back of my mind says pull over and check to make sure everything on then bike is ok. Thanks voice, you just saved my trip and my engine. The entire back half of the motorcycle is covered in oil and the crankcase is almost totally empty. Thankfully I am in some semblance of civilization, so I walk the two miles in motocross boots to the nearest auto store for more oil all the while thinking my motor is blown and my trip is over before it began. As I am wrenching on the bike on the side of the road an old guy pulls up and starts chatting. He ends up calling his Harley mechanic friend who easily diagnoses the problem as simply a blown sprocket shaft seal. He helps repair it as best he can, and I’m on my way again. However, the seal soon starts to leak about a quart of oil every :30, so despite constantly filling the engine I am forced to stop in OK.
After defrauding/desperately pleading with AAA I manage to finagle a free tow to Amarillo, TX where the only KTM dealership for 500 miles has the part I need in stock, and they are willing to put it on the next morning. I end the day in a tow truck much the same as I started, not the grandiose beginning I anticipated to my adventure, but at least I’m moving in the right direction. The repair takes until 3pm, and after that I am on the road and rolling all the way to Brady, TX. I ride until I cannot feel my hands anymore despite my heated grips and insulated gloves, and I pull into a gas station where I meet my first real biker gang that promises to make me a member if I return. I ride and ride and ride some more. I ride all the way to San Fernando, Mexico. The following two days take on a mundane regularity. Wake up at 6am, be on the bike by 7am, ride fast until starving, stop for lunch, ride even faster until the sun sets, sleep and repeat. I cant believe what Mexicans consider navigable roads for commercial trucking. From Tampico to Veracruz the road was a small two lane mountain twisty road through incredible jungle scenery which was fantastic, but it was ruined entirely by semi trucks EVERYWHERE doing only 30mph. Additionally, the Mexican roads don’t have exits or overpasses, so they wind through every single town. To control the speed of drivers they don’t have many police, so they use topes, or speed bumps. There are several at the beginning and end of every town. The Mexicans cross them at no more than 2-3mph, so rather than slowing down traffic it just leads to a huge traffic jam through every town. My motorcycle takes them at about 30mph easily, so I just use these jams as passing zones usually. Once in Veracruz I took the faster toll roads and got sick of paying the exorbitant tolls, so after a friend (Ben) advised me they don’t have any chase vehicles I tried to run around one of the toll gates. I made it about 10 miles before 3 angry toll workers/transit cops caught me, one driving and two on the flatbed of the truck with a loudspeaker. I thought they were going to try to board me Mad Max style, but I got away with just paying the toll amount since I feigned like I didn’t speak Spanish. Lesson learned, good story gained. Today I intended to arrive in Chetumal and was making great time through Escarcaga across the Yucutan when disaster struck about 120 miles from my destination. I could feel that I was turning the throttle more than was necessary for the speed I was going and losing power. I pulled off to the side of the road and noticed a slight ooze of oil coming from the cylinder head and assumed the worst. I was stuck on the side of the road in Mexico, in the middle of no where, alone, not fluent in the language, and had no one on earth who knew where I was. Luckily, oh so coincidentally luckily, these two English speaking guys stopped, and asked if I needed help. It turned out they even had corresponded with Ben! They said they would help and to be patient. I was very patient, and for 5 friggen hours I was patient by the side of the road! Right then when I was about to put my bike in the bushes and camp next to it a tow truck pulled up. However, my elation was quickly killed again. They initially said they would take me to Chetumal, for about $150, but after talking to their boss in the next town they said they had to go back to Escarganca where they were from because this driver did not have a license sufficient to pass the police checkpoints, and the price skyrocketed. Who sends a tow truck two hours away with an unlicensed driver? They sounded really sketchy, so I refused their services which left me, again, alone in a town with no mechanic, no hotel, and no internet. The only option I could think of was to offer up a fat ransom. 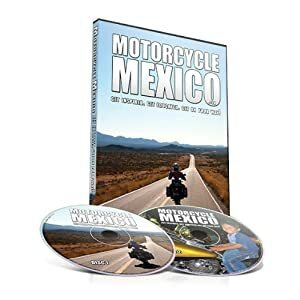 I walked into the only restaurant and said if anyone with a truck would take me and my bike to Chetumal that night I would pay them the same as the tow truck driver. One guy in his 20s literally leapt at the offer, leaving his meal half eaten to find his buddy with a truck. I loaded my moto in the cattle grate/truck bed and climbed in between two guys in their tiny pickup. After getting a gallon of gas siphoned out of a milk container just to make it to the next gas station we were moving, albeit very slowly. YES, I was on my way to meet Ben tonight!!! I now understand why they go so slowly over the topes speed bumps. They had about 10psi in their tires, and the suspension was completely shot on one side. We didn’t´ go more than 45mph the entire trip and were stopped at every checkpoint, but we finally made it. After all this trouble I arrived to find that Ben had gone on to Belize and Guatemala, but he and I agreed to meet in El Remete, Guatemala.